…San Diego is a prosperous, energetic place, which is rapidly adding to its present population of some forty thousand contented people. I own I was best pleased to walk along the water-front by the rows of little amphibian huts that I remembered from former days. Flowers bloomed in cans and boxes all about these humble dwellings, and boats slapped idly on the water by the crazy landing-stages. Odors unnamable greeted me with claims on my friendly remembrance, and the new generation of waterfront children seemed no less arch and engaging than those of yore. …there was a full-flavored story of some old Spanish Petruchio of the region who had tied his scolding wife to a tree, cut off her hair, and braided it into a pair of bridle-reins. This doughty don seems to have had a passion for the bizarre. He is said to have possessed a string of dried ears collected from enemies he had slain; which quaint souvenir his daughter was wont to wear as a necklace at balls and fandangos. With such legends, or histories, are many of these lonely holes and corners of California illuminated. Here the expedition narrowly escaped disaster. The inwash of the tide, meeting the water of the creek, had formed an area, a sort of pit, of quicksand. This we had to cross in order to reach the beach, and in a moment, without warning, I was up to my middle, and Chino, following close behind, plunged in beside and almost upon me. On the instant I threw myself backward, and tried to work myself out, but the sand clogged me as if it were liquid lead, and I could not reach back with my hands to where the solid ground would give me support. Chino, meanwhile, was struggling desperately but helplessly, the heavy saddle-bags and other articles of his load weighing him down so that he was already half covered…I remember that, as I struggled, a horror of the commonplace sunlit evening flashed over me, and, with it, the thought that no one would ever know what had happened to me, for there would be no trace, no clue. That horrible sand would close over me, the sun would shine on the spot, the roar of waves would go on unbroken; I should simply cease to be. 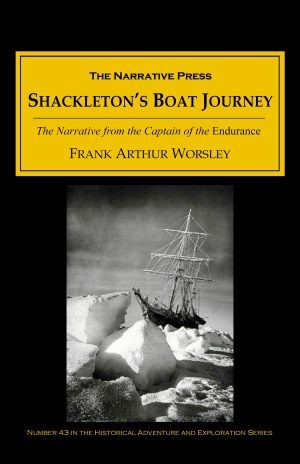 The author was a learned man, and draws upon other books, particularly Two Years Before the Mast (also available from The Narrative Press), in which Richard Henry Dana explores the same area by ship. 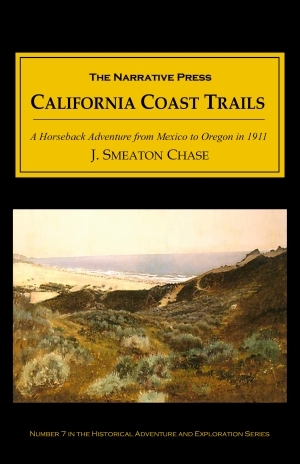 Chase is awed by the landscape, and along with very precise geographical details, the book is full of beautiful descriptive scenes. 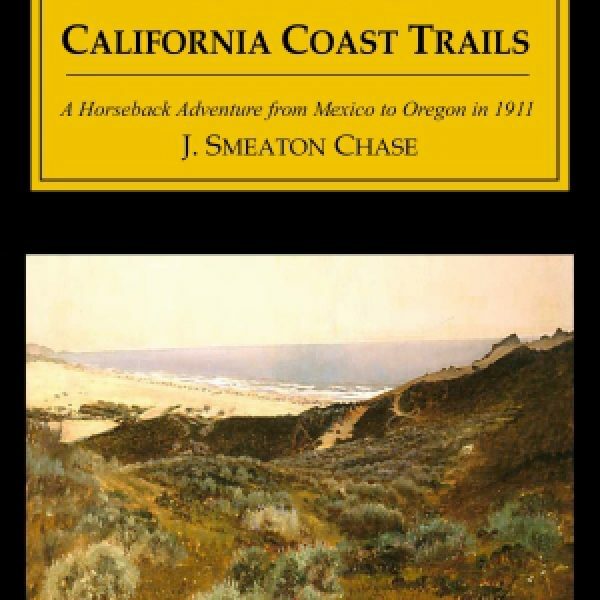 Reading California Coast Trails may just inspire you to set off a-wandering!